In summertime, all I want to do is eat peaches, all day every day. So I tend to stock up on them to the point of insanity, and then it’s a rush to beat the clock and use them before they go bad. 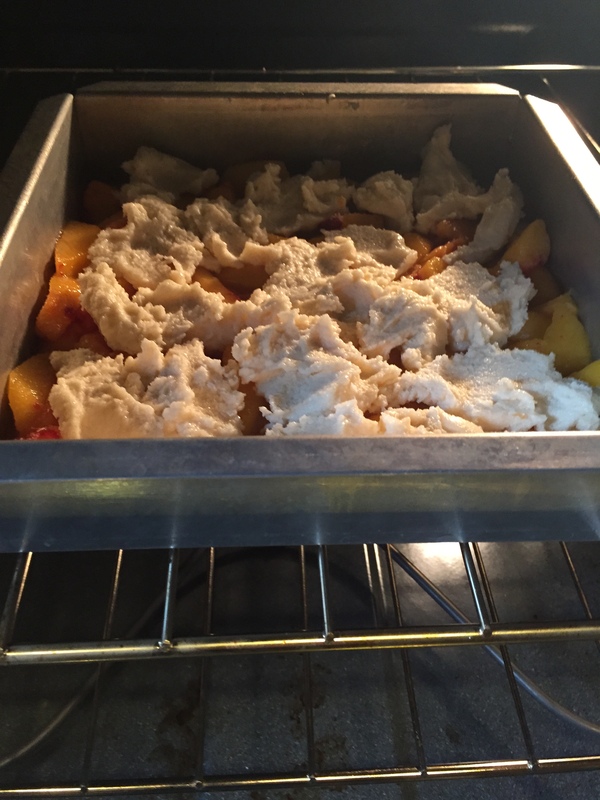 One of my all-time favorite recipes to utilize my hoarded peaches is my mom’s sugar cookie peach cobbler. It is sure to impress but so easy to make! The cobbler part tastes like a sugar cookie, and is ridiculously addictive. Preheat oven to 375°. Place sliced peaches in a large bowl. 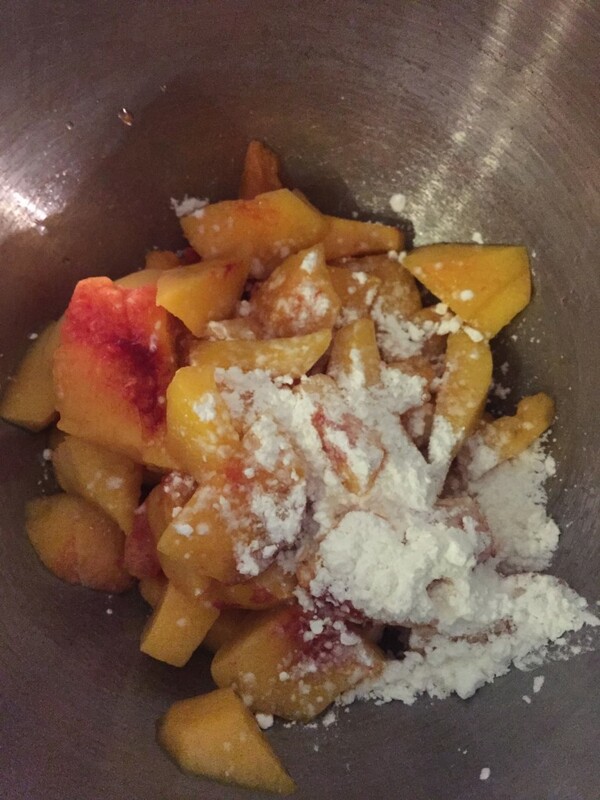 Toss with fruit layer ingredients, until dry ingredients completely coat the peaches. Spray a 9×13 inch pan with nonstick spray, and put peach mixture in the bottom of the pan. For the sugar cookie topping, start by using a mixer to cream together the butter and sugar until well-combined. Add the egg yolk, nutmeg, almond extract, and salt to the bowl, and mix again. Finally, stir in the baking powder and flour and beat until incorporated. With a large spoon, scoop the sugar cookie topping in large dollops on top of peach mixture. Spread as much as possible in a smooth layer, but don’t worry if it’s hard to spread – the topping will even out in the oven. Bake the cobbler for 40-50 minutes, until crust is just golden on top. 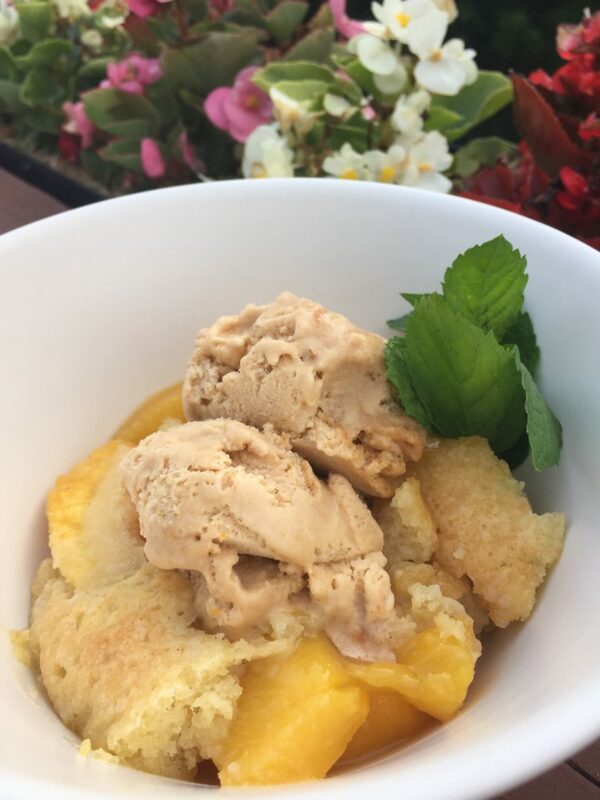 Serve warm or at room temperature, and topping the cobbler with a scoop of vanilla ice cream is always an option! Place sliced peaches in a large bowl. 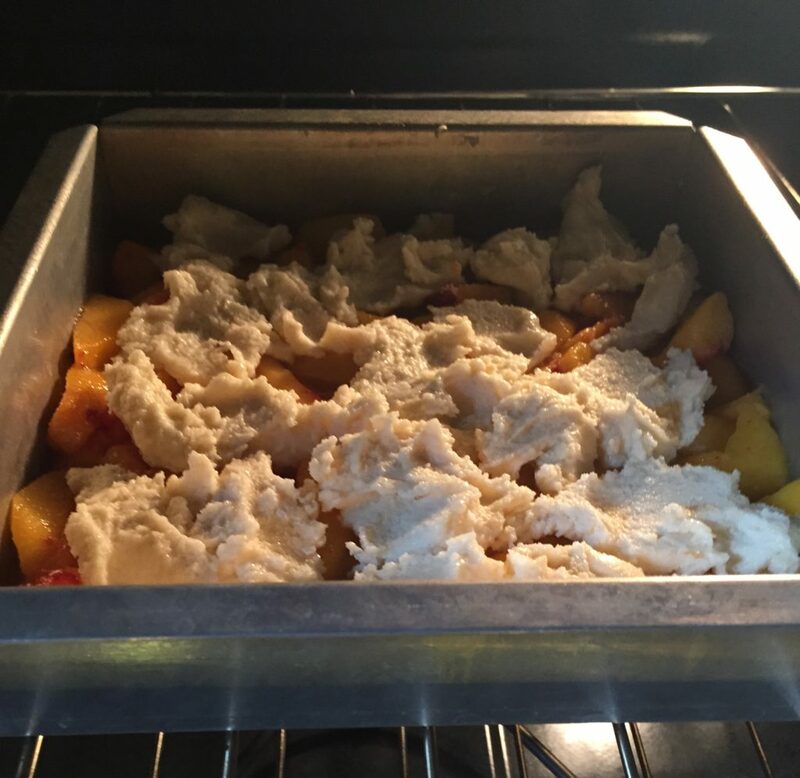 Toss with fruit layer ingredients, until dry ingredients completely coat the peaches. Spray a 9x13 inch pan with nonstick spray, and put peach mixture in the bottom of the pan. For the sugar cookie topping, start by using a mixer to cream together the butter and sugar until well-combined. Add the egg yolk, nutmeg, almond extract, and salt to the bowl, and mix again. Finally, stir in the baking powder and flour and beat until incorporated. With a large spoon, scoop the sugar cookie topping in large dollops on top of peach mixture. Spread as much as possible in a smooth layer, but don't worry if it's hard to spread - the topping will even out in the oven. Bake the cobbler for 40-50 minutes, until crust is just golden on top. 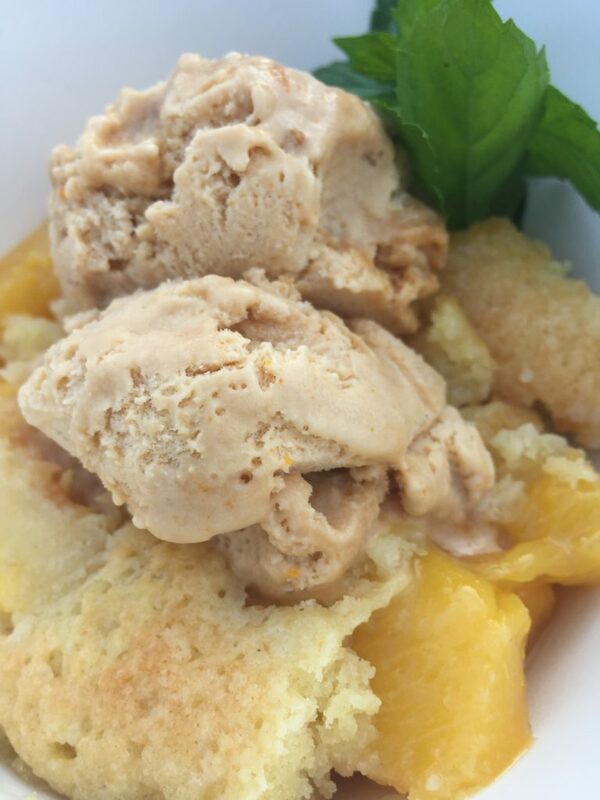 Serve warm or at room temperature, and topping the cobbler with a scoop of vanilla ice cream is always an option! 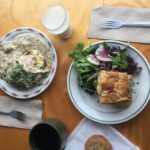 It’s always been a struggle for me to truly enjoy eating salads – I’ll admit it. But growing up, drenching some lettuce in this sweet Italian dressing was a sure-fire way to get me to partake in some veggies. 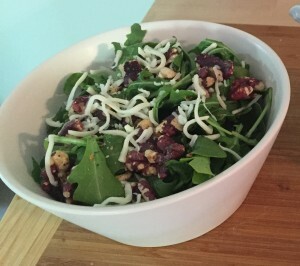 This is the primary salad topper I remember my mom making as a kid and it is still one of my go-to recipes today, because it is quick and delicious. Just throw all the ingredients in the food processor and you’re done! 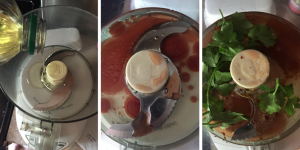 Combine all ingredients in food processor or blender. Pulse until well-blended and parsley is no longer in large pieces. Store leftovers in the fridge for up to 1 week. Drizzle the finished dressing on your favorite greens for salad. Toss in some toasted walnuts, bacon, shredded mozzarella, and diced tomatoes for an easy side for any meal. 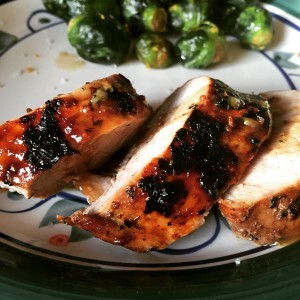 This dressing is great just on spinach or romaine lettuce, but I have also used it as a marinade for chicken, and it turned out wonderfully juicy and flavorful. 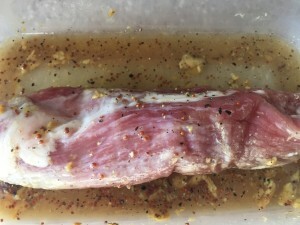 Alternatively, try it as a the base for a potato or pasta salad recipe, or toss broccoli or asparagus in it before roasting them in the oven. Want to learn more? 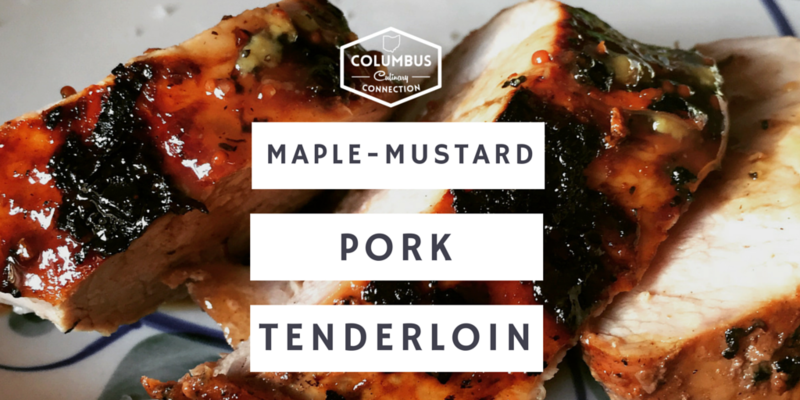 Subscribe to the Columbus Culinary Connection newsletter to get recipes, restaurant reviews, and more delivered to your inbox every month! Pulse until well-blended and parsley is no longer in large pieces. 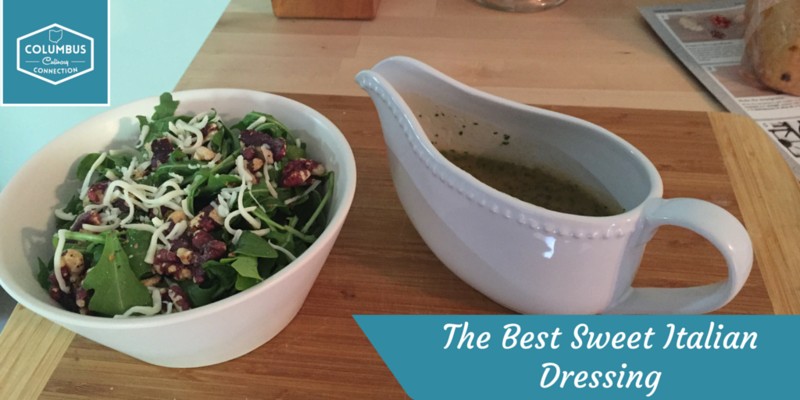 Drizzle the finished dressing on your favorite greens for salad. Toss in some toasted walnuts, bacon, shredded mozzarella, and diced tomatoes for an easy side for any meal. 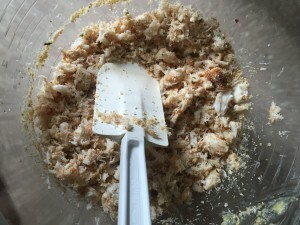 I made this recipe recently for my family’s Preakness Party, mainly because crab cakes were a good choice for “Maryland” cuisine. The crab cakes ended up being a huge hit – we had no leftovers! 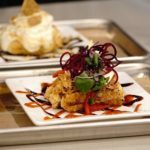 This appetizer recipe is both easy and elegant for entertaining, so if you enjoy seafood, this is a great choice for your next gathering. I like to bake my crab cakes instead of frying them; I find they are less likely to burn, and they are healthier that way. Preheat the oven to 375º F. Start by picking through the crab meat with your fingers, to make sure that there are no bits of shell (I hate this part – but it’s worth it, no one wants to eat shell pieces). In a medium-sized bowl, gently combine all of the crab cake ingredients until all components are fully incorporated; do not over-mix. Place mixture in the fridge for 30 minutes to chill; this will help make the patties easier to form. Once the mixture has chilled, spray a cookie sheet with nonstick cooking spray to ensure the crab cakes don’t stick on the bottom. 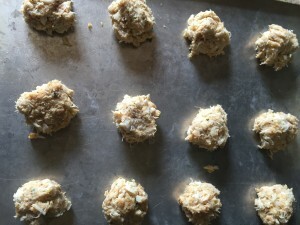 Form the crab mixture into small patties, about the size of a poker chip, and place them on the cookie sheet. Leave at least an inch of space between each crab cake on the sheet. Bake the mini crab cakes for about 15 minutes, or until the crab cakes are set and the bottoms are golden brown. While the mini crab cakes are in the oven, make the garlic-mustard aioli. Mix together all sauce ingredients except chives, salt, and pepper. Taste for flavor; add salt and pepper as needed. Top aioli with sprinkling of chives. 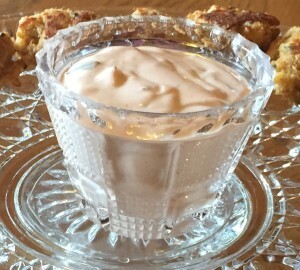 Serve this sauce on the side for guests to dip mini crab cakes in it. 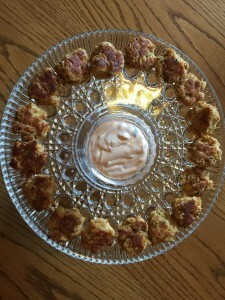 Place the crab cakes on a vintage cake stand or a pretty platter with dipping sauce in the center and enjoy! What are your favorite appetizer recipes? This appetizer recipe is both easy and elegant for entertaining, so if you enjoy seafood, this is a great choice for your next gathering. I like to bake my crab cakes instead of frying them; I find they are less likely to burn, and they are healthier that way. Start by picking through the crab meat with your fingers, to make sure that there are no bits of shell (I hate this part - but it's worth it, no one wants to eat shell pieces). In a medium-sized bowl, gently combine all of the crab cake ingredients until all components are fully incorporated; do not over-mix. Place mixture in the fridge for 30 minutes to chill; this will help make the patties easier to form. Once the mixture has chilled, spray a cookie sheet with nonstick cooking spray to ensure the crab cakes don't stick on the bottom. Form the crab mixture into small patties, about the size of a poker chip, and place them on the cookie sheet. Leave an least an inch of space between each crab cake on the sheet. 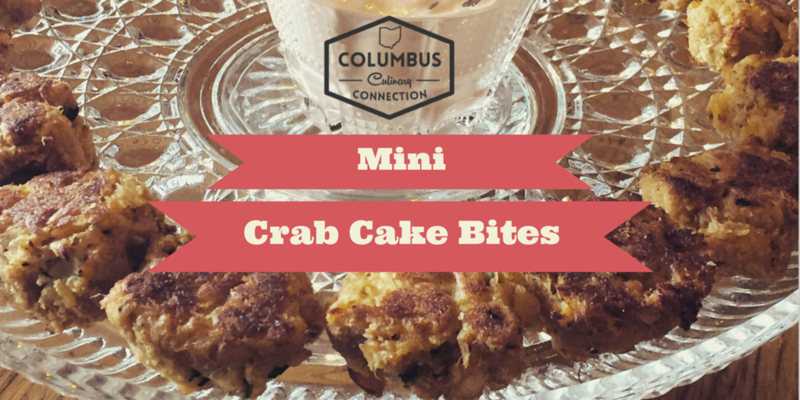 Bake the mini crab cakes for about 15 minutes, or until the crab cakes are set and the bottoms are golden brown. You need an expensive, as-seen-on-tv soda maker to make your own soda, correct? Wrong! Making different flavors of fruit soda is actually really easy to do at home, without any sort of fancy gadget. 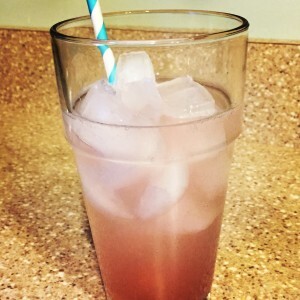 I chose rhubarb for this recipe, because it is a beautiful pink color and happens to be in season, but try substituting other fruits such as strawberries or black cherries instead! Start by scrubbing the rhubarb stalks. Chop the cleaned stalks into small pieces, roughly 1″ in size. 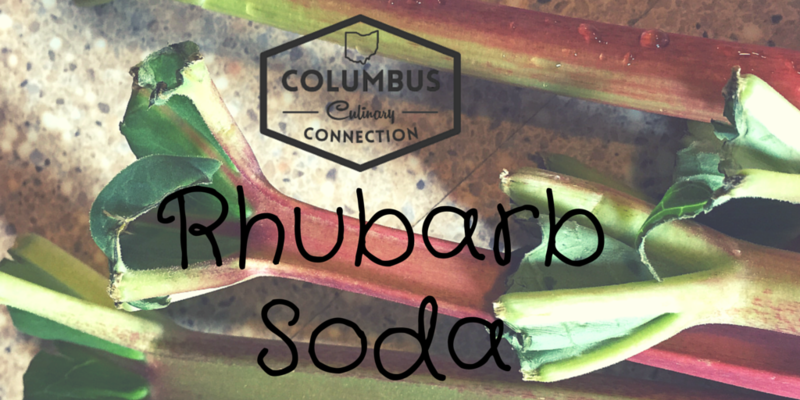 Place the rhubarb pieces, water, and sugar into a medium saucepan. Bring the mixture to a boil. Once it reaches a boil, reduce the heat to a simmer, and let cook for 30 minutes. Set the pan aside for mixture to cool and thicken. When it has cooled completely, pour the syrup into a fine-mesh sieve with a bowl underneath it. Let the mixture drain for approximately one hour, or until the liquid has separated from the rhubarb pulp. 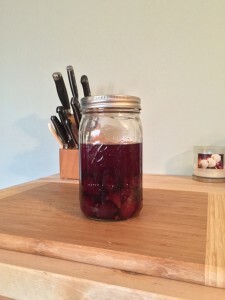 Store strained syrup in a mason jar in the refrigerator. To make the soda itself, put 3 tablespoons of the cooled syrup into the bottom of a glass. 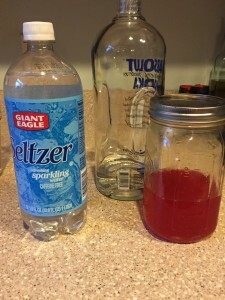 Top with 1 cup of seltzer water and mix well to combine. Add ice to the glass. Enjoy! What other fruit and soda combos would you like to try? Let me know in the comments below! Start by scrubbing the rhubarb stalks. Chop the stalks into small pieces, roughly 1" in size. Place the rhubarb pieces, water, and sugar into a medium saucepan. Bring the mixture to a boil. Once it reaches a boil, reduce the heat to a simmer, and let cook for 30 minutes. Set the pan aside for mixture to cool and thicken. 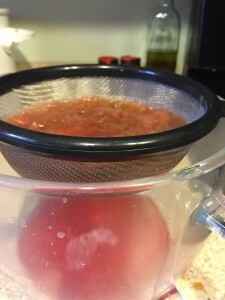 When it has cooled completely, pour the syrup into a fine-mesh sieve with a bowl underneath it. Let the mixture drain for approximately one hour, or until the liquid has separated from the rhubarb pulp. Store strained syrup in a mason jar in the refrigerator. To make the soda itself, put 3 tablespoons of the cooled syrup into the bottom of a glass. Top with 1 cup of seltzer water and mix well to combine. 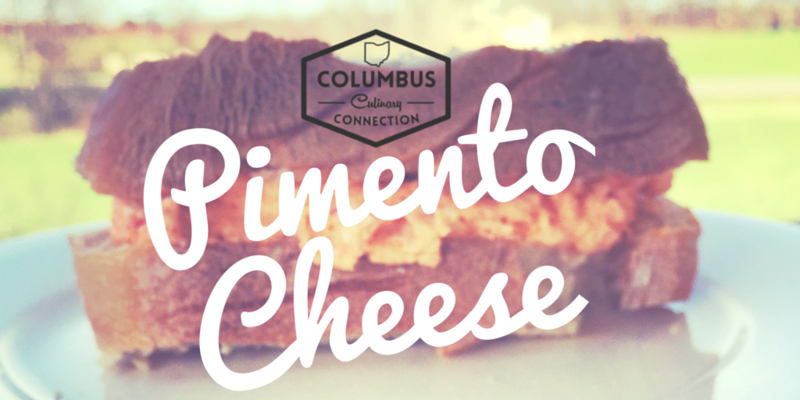 Pimento cheese is one of the easiest and most delicious recipes you will ever make. All you need is a food processor, or in a pinch, a mixer will work too! This Southern spread has many uses, and is a cinch to pull together. Start with 8 oz of sharp cheddar cheese. 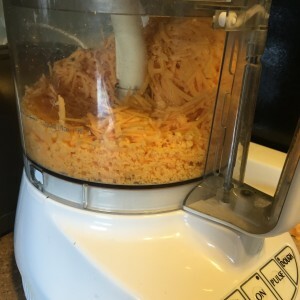 Shred the cheese in the food processor. Once shredded, place the cheese in a medium-sized bowl. In the now empty food processor, place all the remaining ingredients. Turn on the food processor to combine, making sure that the cream cheese is well-incorporated. Add the shredded cheese back into the food processor with cream cheese mixture. Pulse a few times to combine so that it is well-distributed. Start pretending you are in a warmer climate than Ohio. That’s it! 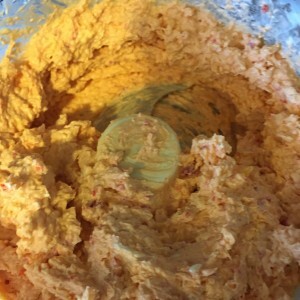 My mom likes to serve the pimento cheese as a sandwich on some delicious crusty bread, or pair it with some celery, carrots, and pretzels as a dip. If I had thought about it sooner, I would have spread this batch on bread and made it into a grilled cheese sandwich with bacon and tomato. Hope you enjoy! Pulse a few times to combine so that it is well-distributed. I’m going to come out and say it: I love cheese! In any form. 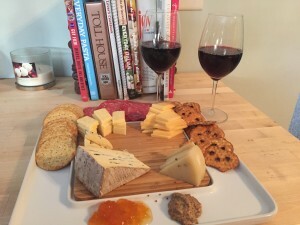 So when a few years ago my husband suggested that once a month we have wine and cheese for dinner, I was on board. The only thing better than cheese is cheese paired with wine. 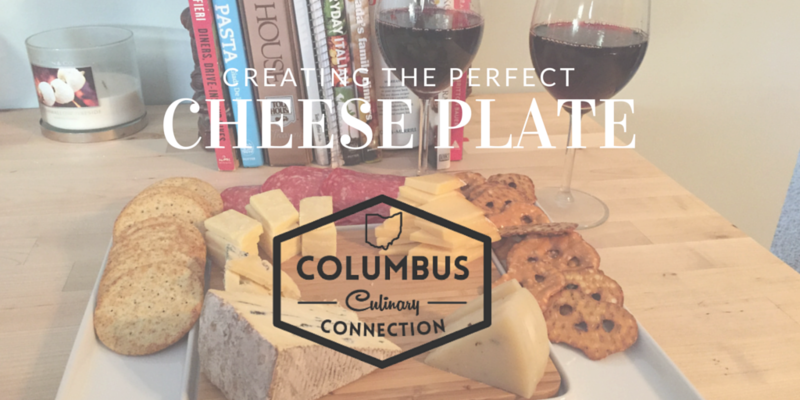 Making a cheese plate is an easy way to entertain, because serving a cheese plate as an appetizer platter looks fancy, but requires little work on your part. Little effort is a good thing, in my world. 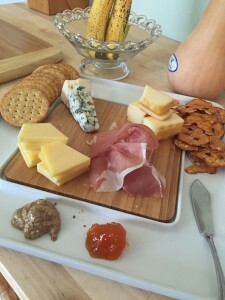 Start by getting a mix of cheese styles: soft, mild, aged, hard, smoked, and blue. Here are some examples to mix and match: buttermilk blue, sharp Irish cheddar, smoked Gouda, baby Swiss, Camembert, and honey goat cheese. 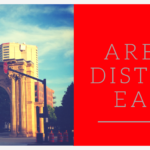 Columbus has some great farmer’s markets, and you can often find local cheesemakers, such as Laurel Valley Creamery and Blue Jacket Dairy touting their wares at these events. So what else to put on the plate? I like to add a variety of flavors and textures. I always have some kind of jam, generally apricot, because it adds that perfect balance of sweetness and tang. Other fruit items, like thinly sliced apples, grapes, and figs are also a good idea. 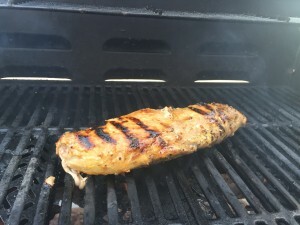 Now let’s talk about meat. I love the saltiness that prosciutto or salami brings to a cheese platter, but Serrano ham is a fun addition too. Whole grain mustard is a must, adding that perfect bite to your cheeses. Now where do you put all of these goodies? On crackers or crostini! You can buy pre-toasted bread slices for crostini in most groceries in the bakery section. Near the cheese department, you can generally get interesting cracker varieties as well. I like to get a mix of wheat entertainer crackers, pretzel thins, or pita chips. Add some roasted red peppers, pickled artichokes, or nuts on the side, and you are all set to entertain! Ok, I’ll admit it – I was not a born lover of green veggies. In fact, my parents could tell you a number of vegetable horror stories throughout the course of my childhood. But then I discovered Hubbard Grille. These Brussels sprouts were crispy and fried, and I couldn’t believe how many of them I managed to tuck away in one sitting. So I decided to try my hand at making a healthier version at home, and make a complete meal out of the Brussels sprouts. This is the yummy result. Preheat the oven to 400 degrees. Start by cleaning the Brussels sprouts, and peeling off the outer couple of leaves if they look wilted. Cut each one in half, and put them in a large bowl. On top of the sprouts, drizzle 2 T. of EVOO and sprinkle on a liberal amount of salt and pepper. Toss to coat each one. Place the seasoned Brussels sprouts cut side down on a rimmed cookie sheet. 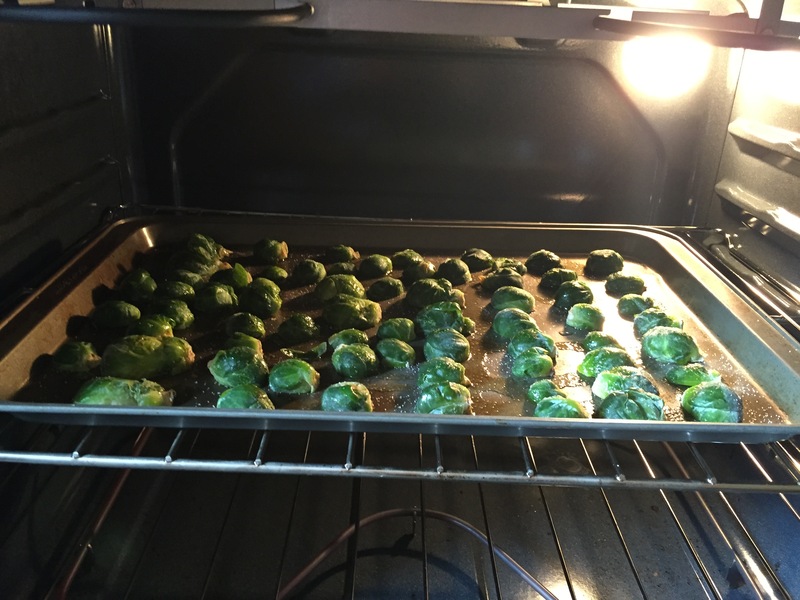 Bake them for 25-35 minutes, depending on the size of your sprouts. The bottom side of each sprout which touches the cookie sheet should be nice and caramelized. Remove the sprouts from the sheet and put them back in the large bowl. In a small bowl, whisk together the remaining olive oil and vinegars. 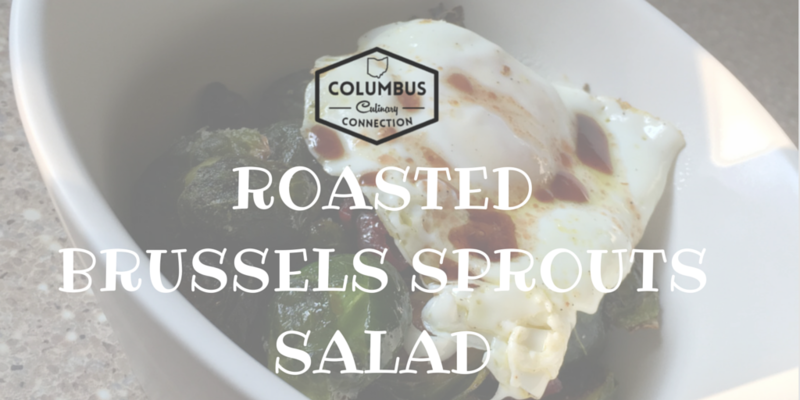 Pour the dressing on top of the cooked Brussels Sprouts, and gently toss to combine the dressing and the sprouts. Divide the sprouts among 4 bowls. Poach or fry an over-easy egg for each serving – you want the yolk to still be runny. Place an egg atop the sprouts in each bowl, then top with turkey bacon, cheese, cranberries or pomegranates, and additional sprinkle of salt and pepper if desired. You will love all of the salty, sweet, tart deliciousness that ensues. Enjoy! 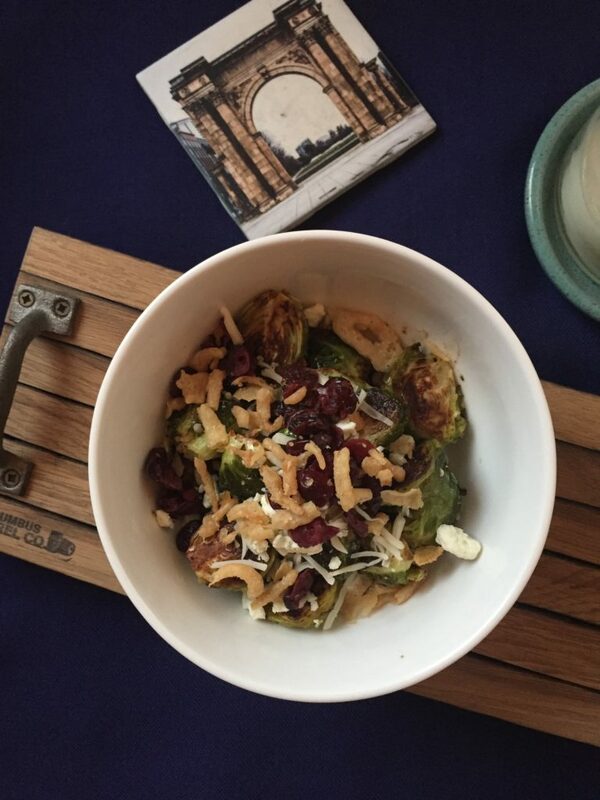 Culinary Clue: To get your Brussels fix without cooking them yourself, head over to Hubbard Grille. The salty sprouts are a surprisingly good bar snack, and you can get a plate of them for happy hour munching. 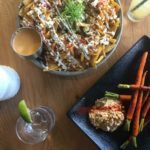 What are your favorite veggie recipes? Let me know in the comments below! Poach or fry an over-easy egg for each serving - you want the yolk to still be runny. It’s no secret that I love a craft cocktail from places around town such as Curio, Mouton, or Denmark on High (posts to come, of course). However, with all the snow central Ohio has been experiencing lately, sometimes you just want to curl up by the fire at home. Enter my new obsession: infusing liquor myself. It is super easy, and in all likelihood, you already have ingredients on hand to try one! 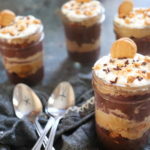 I have found that the larger-sized Mason jars are best for making these concoctions. They seal well, they have a built-in measurement guide on the jar, and because they are clear, you can see what is going on in there. Take a clean Mason jar and place the blackberries inside. Use a muddling stick or wooden spoon to break up the berries a little. This will help them start to macerate and release their juice into your bourbon. Fill the Mason jar with the 2 cups bourbon. Place the lid on tightly, and put the jar in a cool, dark place like a cupboard. Every day, take the jar out and turn it upside down and shake it a little to be sure it distributes properly. Be patient, and find other delicious things to drink in the meantime. After about 7 days, the infusion is done. That’s it! Notice how the color has changed after 2 days. 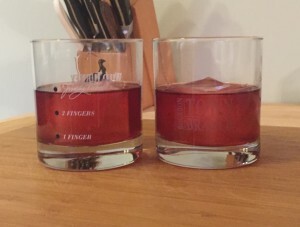 As a bourbon aficionado, I drank Blackberry Bourbon both on the rocks and later, mixed with a little sweet tea, but I can’t wait for summer to come so I can add this to lemonade for a fruity and potent cocktail. How long to let it sit? This really depends on the level of taste you want. Try a spoonful of the liquid every couple days until the desired taste is achieved. For more potent items like cinnamon or coffee, you don’t need more than a few days. Fruits like pineapples and lemons, which break down more slowly, need a couple weeks. The beauty of these infusions is that you can create as much or as little of the mixture as you’d like. If you aren’t quite sure how the pairing will work out, try it in a small amount. 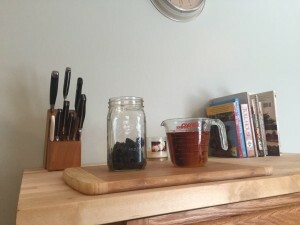 Have multiple infusion jars going at once so you are always prepared to make a new drink. 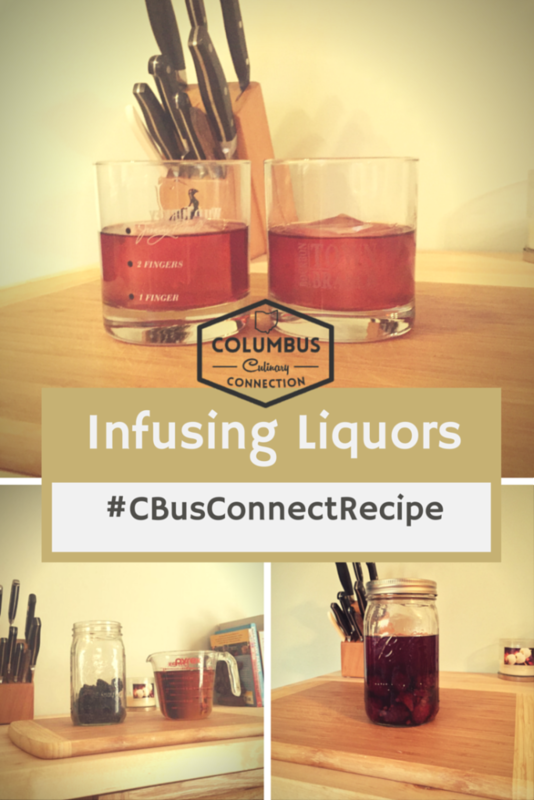 The other wonderful aspect of infusions is that they take a lot of the alcohol “burn” out of the spirit, and can make you a believer in a liquor you might not normally sample. I can’t stand cucumbers, but my friends love this one. Cucumbers are a pretty potent ingredient, so this one only needs a few days. Add some tonic or soda water and you’ve got a cocktail already. This one would be great churned in with some vanilla ice cream, but I have trouble saving it long enough. Hello brunch cocktails! This duo screams to be mixed into any tropical drink. Margaritas, mojitos, daiquiris, you name it. Apple Pie Moonshine is trendy right now, but you can get a similar flavor and cut out the cooking step that the traditional recipe requires. Take a page out of new slider joint Cray’s book and pair this neutral spirit with anything you can imagine. They have kinds with Skittles or gummy bears for martinis and even garlic for bloody marys. The possibilities are endless! My new mission is to try and recreate the Mobster Manhattan from Prohibition Gastro Lounge, which used a maple bacon-infused Woodford Reserve. What combos have you tried? Any suggestions for what infusion I should attempt next? Leave them in the comments below.